Today I didn't get our with my camera much. 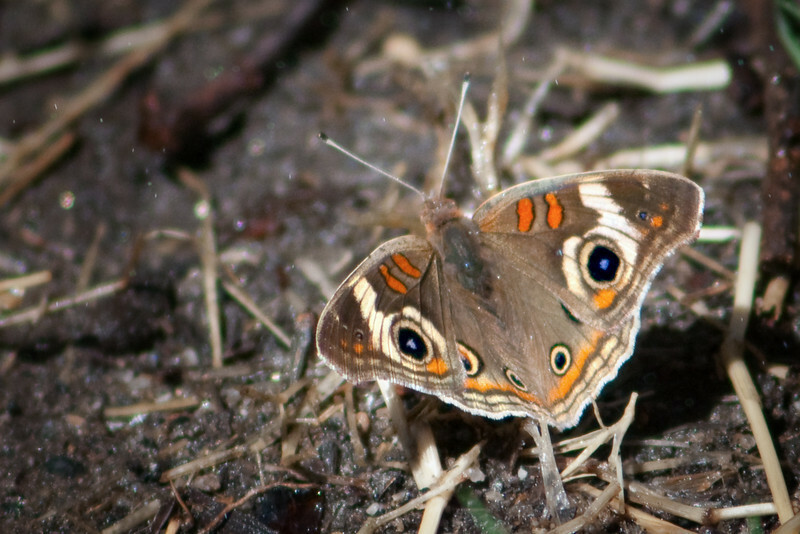 But I did some research on some of our local butterflies and realized I had a picture of this species the Buckeye butterfly. So I decided to post this shot taken a few weeks back. You may see some little specs all over the picture and wonder what they are. Well the butterfly was on the ground and the rainbird came around just as I was getting the picture. So the specs are actually drops of water and as the water got more intense the butterfly took flight. What a beauty! Nice color and I like the framing.